echo(echo) was formed in July 2012 byDean Murphy specialising in creating games & applications for iOS withCorona SDK. Having never programmed before, this was a big challenge, however the passion for making great fun applications for my favourite devices has been my driving force. This is both my first game and first serious project. I took everything I have learned in my previous apps and built on that to create a modern, minimalistic math based quiz with global high-scores & achievements. 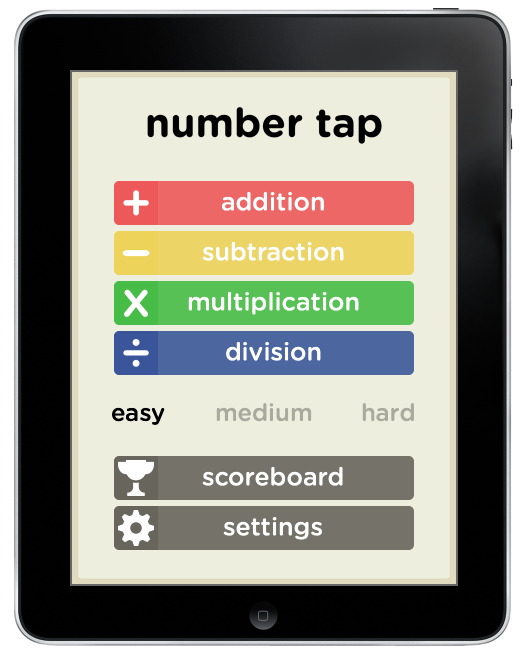 The game features 4 game modes (Addition, Subtraction, Multiplication & Division) and you are tasked is to solve math questions before the game timer runs out. The Lite version gives you a taster with 2 game modes and is supported by adverts. For every question you get right, you gain extra timer on the timer. The more questions you get right in a row, the harder the questions get! It's game over when your timer runs out! My first app launched at the end of August, it is quite a simple app by design to get acquainted with the Corona SDK and the Apple ecosystem and has received positive reviews. Joke Shake came soon after in September, built on the same 'engine' that drives Decider, however with some more features integrated that I wanted to learn, like social network support, In app purchase and universal app support. It has exceeded my expectations considering the lack of advertising and has served over 50,000 jokes to people across the world!